1. Research again and again – This is understatement about an importance of researching places for buying gold bullion online. If you consider the price of a 1 oz gold bullion coin that is running up close to $1,500 each (prices as of March 22, 2011) including shipping and handling charges, you definitely need to be buying from a reputable place. 2. Know the current spot price of gold – If you decided to start buying gold bullion online get in the habit of checking gold prices every day. Soon you will know the base price to buy gold bullion online and should be able to easily compare prices of multiple online dealers. 3. Choose gold bullion bars over gold bullion coins – It’s much cheaper to produce a gold bar opposed to its coin counterpart with detailed design and high quality finish. You will also pay less in premium costs. 4. Locate wholesale gold bullion dealers – If you can financially afford buying a gold bullion limit of at least 5 ounces of gold, you will thank yourself later when you qualify for wholesale pricing enabling you to save on dealer premiums and make investment in gold slightly above the spot price of gold. 5. Do not buy more than you can afford – Due to recent buying gold bullion online craze it might seem very easy to get carried away and go gold crazy. 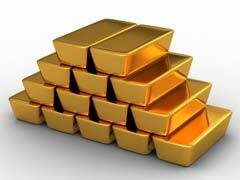 Do not let gold outshine your smarts and keep your gold investment under 5% of your total investment portfolio. 6. Walk away if the prices seem too low or you have second thoughts about the integrity of a certain gold bullion dealer. If in doubt, search customer reviews at gold bullion forums and check other places. 7. Timing is everything when it comes to buying gold bullion online. If the market price of gold is too high, chances are you are going to end up overpaying for your gold bullion and might lose money in the end. The best time to be buying gold bullion online is when the economy is flourishing and the prices of gold are very low.